One thing the last few months of global disasters have illustrated is the strength of communities that were prepared in advance to face them – these local communities were quicker to mobilize themselves with internal assets, grassroots networks and pre-positioned resources to respond more effectively. For the past few years, Episcopal Relief & Development has been accompanying partners through an asset-based disaster preparedness process outlined in the Pastors and Disasters Toolkit. We make a serious investment in the preparedness phase of a disaster cycle and as you’ll learn shortly it makes an incredible difference. The Toolkit focuses on four core competencies: Community Mobilization, Risk Assessment, Disaster Risk Reduction Implementation and Disaster Response. We launched the Toolkit on this day in 2014 and today, for another International Disaster Preparedness Day, we are excited to share the Spanish, Portuguese and French versions. We invite you to download the toolkits and find ways to equip your church, parish or community. The Toolkit was authored in collaboration with church partners in 11 countries, building on our collective experience and expertise. One of those partners is the Diocese of Colombo, who were the first to pilot the Toolkit, and as a result, now have nine regional teams across the country ready to respond to any disaster. In the most recent devastating floods in May of this year, the church worked with their interfaith and local government colleagues to shelter the displaced, feed the hungry, aid the sick and provide pastoral support. And they did all this by mobilizing internal resources through local church fundraising – as they had identified existing assets within their communities as part of the Pastors and Disasters process. Episcopal Relief & Development was able to accompany the church through their recovery and rehabilitation efforts, but the relief efforts were all funded through local resources. It made for a quicker, more effective and more empowering response. This is a desired shift from the standard charity model after a disaster. With investment early on, communities are able to be more resilient, they prefer to first lean on each other before accessing other kinds of help. Meanwhile, we are there with them every step of the way, no matter what direction needs to be taken. It's a model Episcopal Relief & Development strives to expand across our global partner network. Next week, from October 16-19, Episcopal Relief & Development, along with several of our partners, are participating in the “Localizing Response to Humanitarian Need” Forum in Colombo, Sri Lanka. It will be an opportunity to share our asset-based + collaborative approach described above. The goal of the conference is to share evidence of the critical role of religious and faith-based organizations. Episcopal Relief & Development will join 150 international participants for a peer-to-peer learning exchange to discuss and contribute to six main topics: Conflict & Peacemaking, Disaster Response, Refugees and Forced Migration, Disaster Risk Reduction & Resilience, Gender-Based Violence and Children & Health. I will be moderating the Disaster Risk Reduction & Resilience panel, while our partners share their experience on the matter. I am also looking forward to the presentations from my international colleagues from the Anglican Alliance, We Will Speak Out and several Episcopal and Anglican churches including the Diocese of Colombo. We will collaborate with other participants in the conference to develop a series of recommendations to policymakers and practitioners to scale up and strengthen partnerships with local faith-based organizations. Follow along the hashtags #LocalizeAid and #FaithLeadersInAid to partake in the conversation around faith-based response and development work during the “Localizing Response to Humanitarian Need” Forum. Visit https://lrf2017.org/ for more information and resources. In this video get to know Pastors for Disasters contributor Father Manoruben and learn how he works with community to be prepared. Nagulan Nesiah is a Sr. Program Officer for Disaster Risk Reduction at Episcopal Relief & Development. 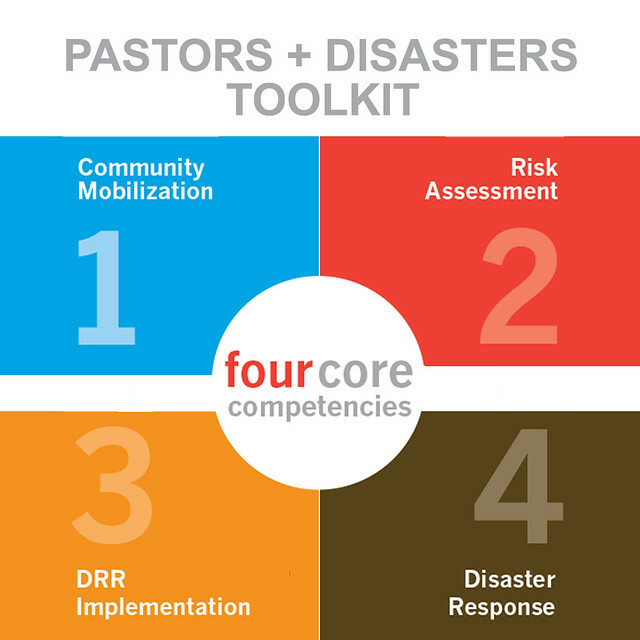 Images: Top— A group huddles over preparedness resource; Middle 1 — The Pastors and Disasters Toolkit exists to help faith leaders prepare for a disaster. 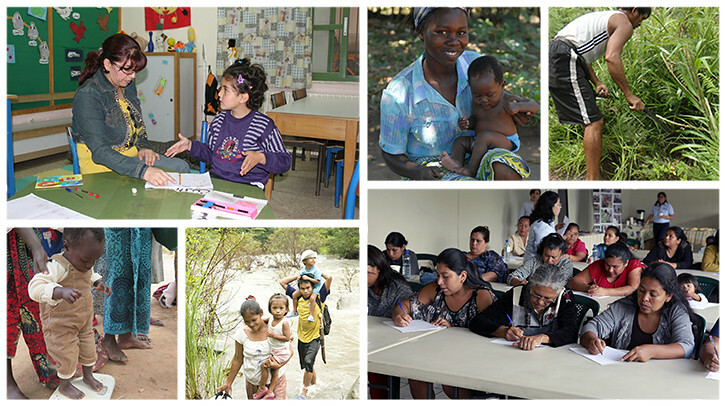 It is available in English, Spanish, French and Portuguese; Middle 2 — Images from Episcopal Relief & Development's programs around the world. Middle 3 — Video, Fr. Manoruban of St. Paul's Church in Morakotanchenai has assembled the youth of the parish into teams for disaster preparedness and response, using the Pastors and Disasters toolkit.